Join Melody’s Addiction and 150 other vendors for week three of the Brooklyn Flea this Saturday April 19th! New Leather Geometric Earrings for the people. We’ll be in Fort Greene at the schoolyard of Bishop Loughlin Memorial High School at 176 Lafayette Ave. (btw. Clermont + Vanderbilt Ave.) The market is open 10am-5pm and I’ll be in my new booth location (W20) over by the furniture section. See you under the Brooklyn skies! Melody’s Addiction jewelry is a unique mix of metal, beads, shell, chain, fabric, lace, leather, wood and found objects. Working with items collected during her travels through out New York and around the world, Melody creates pieces with a vibrant mix of texture and color. Many of her pieces are one of a kind. All of her pieces are handmade. 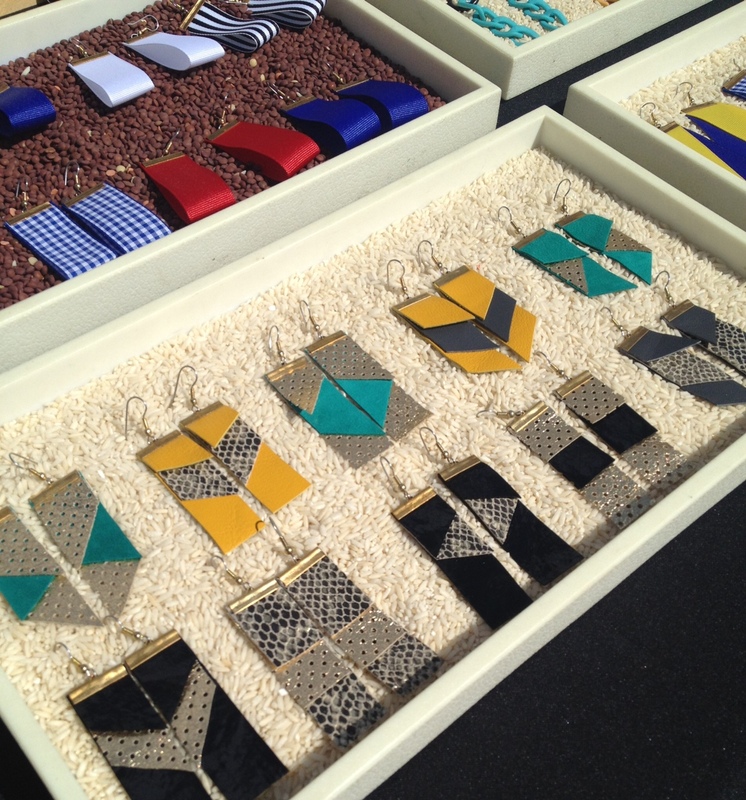 The Brooklyn Flea and More…. Melody's Addiction will be selling twice a month at the Brooklyn Flea between April and November. The Flea features more than 150 vendors of vintage furniture, clothing, collectibles and antiques, as well as new jewelry, art and crafts by local artisans, plus delicious food. It's located in Bishop Loughlin H.S. in Fort Greene (outdoors) every Saturday. Corner of Lafayette in Vanderbuilt.